This week’s Neverwinter Nights: Enhanced Edition patch focuses on more bug fixes as we work towards some of the larger features mentioned on previous livestreams. 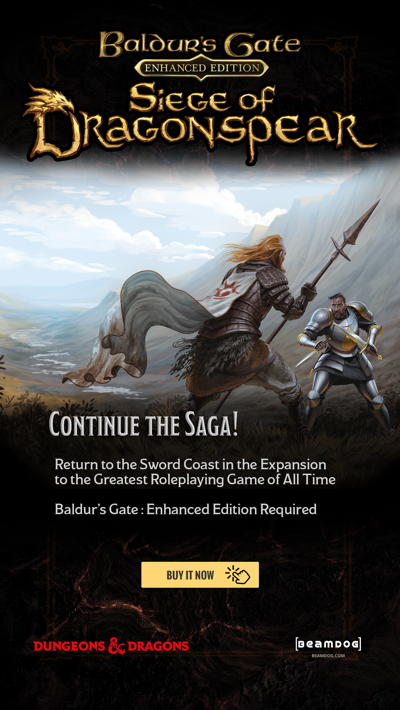 Head Start players, keep voting, suggesting, and discussing the Neverwinter Nights: Enhanced Edition features and fixes you’d like to see in the future. The feedback you’ve all shared has been instrumental in bringing NWN:EE this far. 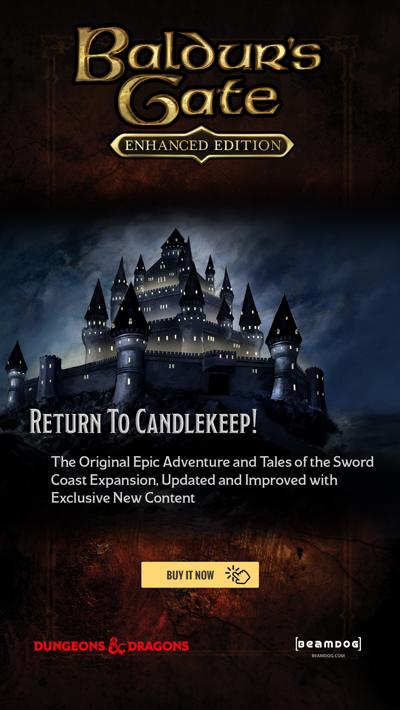 There’s a long road ahead to the release (and so much more beyond that) of Neverwinter Nights: Enhanced Edition, but with the community along for the ride, we’re confident this is going to be the best version of NWN ever! Head on over to the Trello Input and Roadmap boards to see community suggestions make their way (ever so slowly) to becoming features and fixes! Don’t forget to tune into the Beamdog livestreams every Friday at 10am PST! Every week is another chance to get the latest news, ask questions, and win prizes! Fixed a rare case where custom content with empty scripts in the caching list would trigger a nullptr dereference. Fixed three more memleaks in ResMan, in Party Object handling, and in mouse cursor loading respectively. Fixed a client crash on game exit related to the ingame messages UI. A serious issue with shadow edges generation has been fixed. Complex custom models, like some Project Q creatures, would show visual corruption. In 1.69, this resulted in writing to invalid memory and likely triggered random client crashes. TXI command rotatetexture was not handled properly in the new shaders; as a result, some models had misaligned textures (cf. city interior carpets). This is now fixed. SetName used to crash when multiple players were online. It doesn’t anymore. We missed sending updated area names to load screens and the DM chooser list.